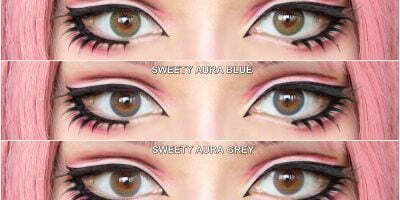 It is often believed that blue contact lenses don’t really make an impact when worn against dark brown eyes. We are here to debunk the myths. It might be tough for people with brown eyes to find a pair of contacts that show up strikingly besides offering a natural transition. 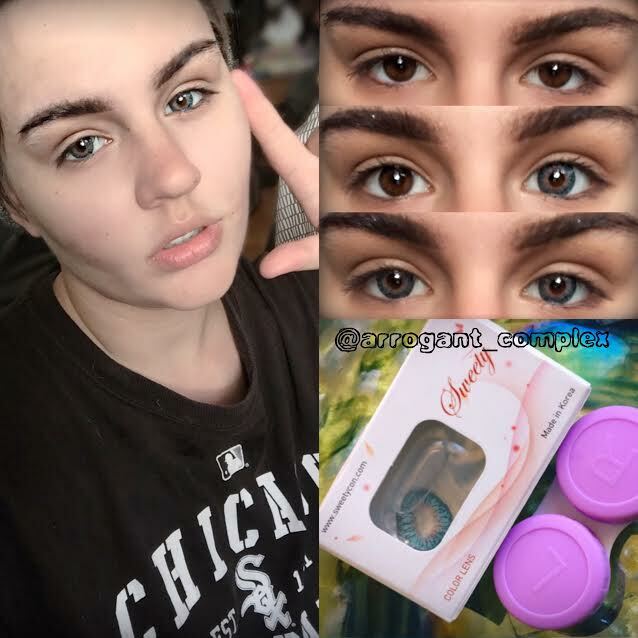 Sweety Milky blue circle lenses, carrying a linear pattern and a strong circular rim; surrounding the pupil hole, create a dramatic effect. They appear vibrant against brown eyes & stay comfortable beyond your expectations. The enlargement effect is muted since the purpose of these lenses is to offer color-change effect only.